Successfully Added Car Rear View Camera Kit - DVR Monitor, 3 Cameras, Side View, Night Vision, 650mAh Battery, G-Sensor to your Shopping Cart. Perfectly resolve the issue of blind spots of car side view and help reduce incidents and accidents abrasion. This car rear view camera kit comes with DVR function and has a total of three cameras to provide you with a great view when you are driving. The side view camera perfectly resolves the issue of blind spots of car side view and help reduce incidents and accidents abrasion. The monitor build in intergraded camera and works as a regular car DVR whereas the rear camera can be used to record behind your car. With its loop recording function, you can be sure that your 32GB SD card slot won’t be filled up with unnecessary recordings. And the side view camera is easy to connect through car door by sticker mount and switch by a wireless control. 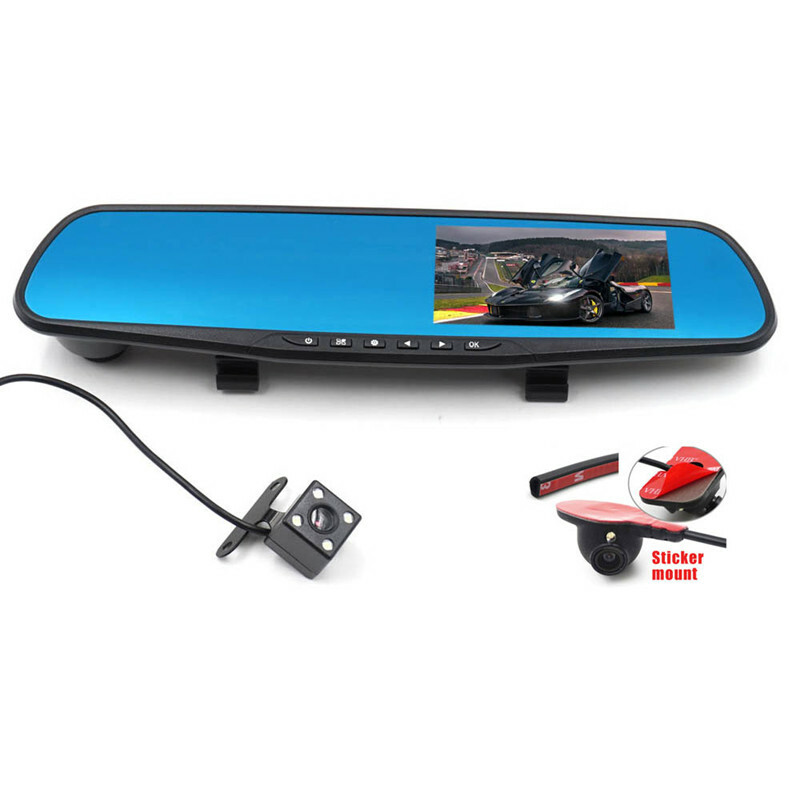 This car rear view camera kit will bring you a great driving experience during your trip!